Heading into the critical final presidential debate on foreign policy and possible direct negotiations with Iran about their nuclear program, polls find strong public support for a U.S. military operation to destroy Iran’s ability to develop nuclear weapons if Iran continues its pursuit of nuclear capabilities. 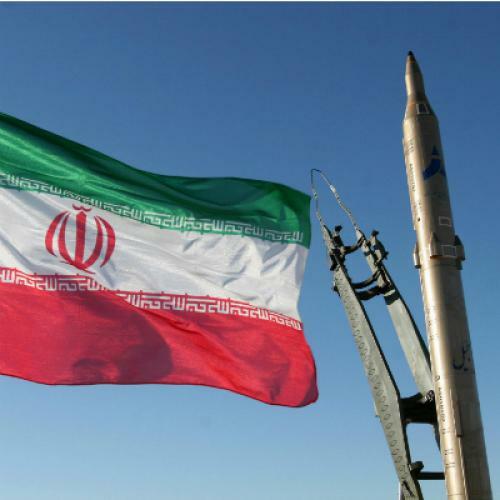 The late September NBC/WSJ poll found that 58 percent of Americans believe the US should initiate military action to destroy Iran’s ability to make nuclear weapons if Iran continues its pursuit of nuclear capabilities, compared to 33 percent who would oppose military action. Remarkably, 44 percent strongly support such an action, compared to 23 percent who strongly oppose. Support for military action against Iran has steadily increased throughout the Obama presidency. In 2008, opponents of war outnumbered supporters by 5 points, 41-46. By March 2012, supporters had seized a 12-point lead. Over the last six months, that margin has doubled to 25 points. Similarly, a recent Pew Research survey finds that the public increasingly believes it is more important to take a firm stance against Iranian nuclear proliferation than to avoid military conflict. In January, “firm stand” led by 9 points, 51-41; today, firm stand leads by 21 points, 56-35. What’s moving the numbers? Both candidates advocated for a tough stance on Iran, with both claiming that an Iranian nuclear weapon is unacceptable. Public discussion is dominated by the dangers of Iranian nuclear proliferation, with little discussion of the potential risks of military action or the feasibility of eliminating Iran’s ability to produce nuclear weapons. And while the American public was wary of war after five years bogged down in Iraq, the United States has since withdrawn from Iraq and is scheduled to exit Afghanistan by 2014. Democrats might be more likely to support military action against Iran than they would have been under the Bush administration, which lost credibility with Democrats after deciding to invade Iraq based on the belief that Iraq possessed weapons of mass destruction. The Pew Research survey found that Democrats preferred to avoid a military confrontation by 5 points, but 44 percent still supported a "firm stance." Simply put: if Republicans are all but assured to support military action against Iran, then a Democratic president might have a better chance of building broader public support. With neither candidate advocating military action, it's unclear how these numbers might influence the election or the next debate. But the unwavering opposition to Iranian nuclear proliferation is likely to reinforce these trends rather than arrest them.